What will your weather be this Christmas? The persistent drought in north central Texas that lifted a couple of years ago has returned. The lush of green springs and summers have left much of the land brown with overgrown but dead vegetation. The trees had gorgeous color this year, but the drab of late fall and the onset of drought are worrisome. California-like tinderbox conditions are returning. Christmas commercials, carols, and sales are proceeding normally. The weather is a whiplash of cold fronts runover by warm west winds that feel wrong for Christmas. The songs sound like some surreal prank sent by the weird wizard from the evil weather lands — winter wonderland in the high seventies? While we've had a little taste of winter, it was not much more than just a bite. We've had hints of possible rain, spit or spat here and there, but the weather folks remind us that we are growing increasingly behind and are way above average in temperature for the last several months. I am ready for some winter chill. I've gotten a little by going to Delaware, but even there, autumn arrived late as summer temperatures persisted. I want to see hoar frost on a cold morning and feel a little winter bite on my cheeks as I get out of my car in Texas! I want to come inside and need to warm up instead of turning on the ceiling fans. Somewhere in the recesses of my memory, I remembered a Christmas from years ago. I thought I'd go back and re-run a piece written years ago. Hopefully, jolly ol' Nic's sleigh might still be needed this Christmas, not some dune buggy tracking its way across the dusty and barren lands of Texas. The only white for many of us is the sad sight of fields of plowed-under cotton that didn't "make" this year. So join me as we look over my shoulder at a Christmas years past as we remember what the weather was like when Jesus came! First, the brisk north breeze brought with it an invigorating chill. Second, the ground was saturated with an overnight rain. God brought both to us with a cold front that blew in during the night. 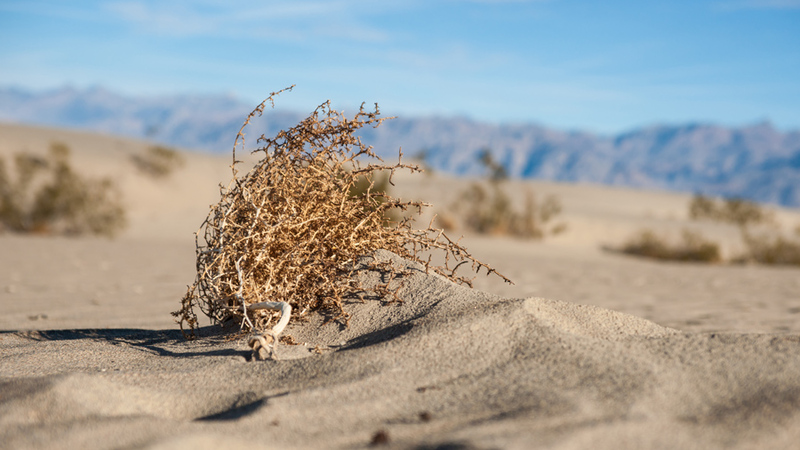 We have suffered through a long, hot, dry fall in Texas. The drought has had its stranglehold on us. Temperatures have remained much warmer than normal. But now, finally, God has sent us a breath of fresh air to break the drought and refresh our spirits! The fresh, cool breeze reminded me of the weather when Jesus came. As Luke told the story of Jesus' birth, he wanted his readers to feel God's refreshing Spirit blowing through parched hearts and bringing God's fresh gifts of grace and heaven's rain. 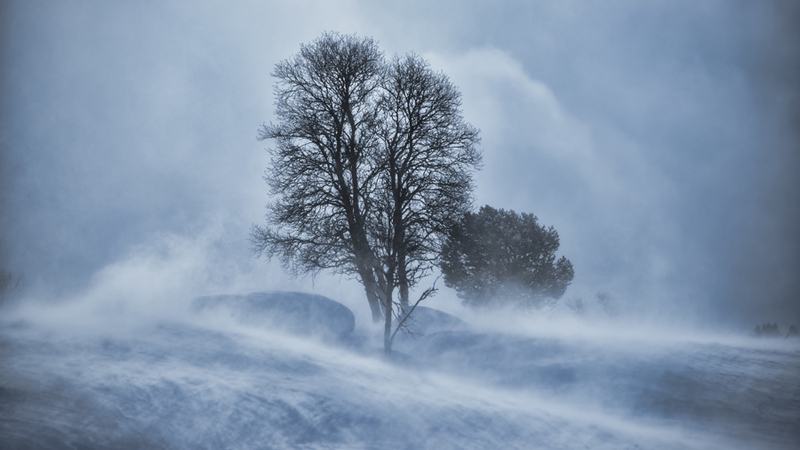 The Holy Spirit of God — the Breath of heaven and one of the key promises of the New Covenant — burst onto the scene like a cool winter breeze. The Spirit's presence was everywhere in and around the birth of Jesus. The Spirit came with power and conceived Jesus in the womb of Mary. The Spirit was present with John the Baptist from his mother womb, so John leaped for joy inside Elizabeth when the newly pregnant Mary, carrying the Messiah, came to see her. The Spirit inspired Elizabeth to affirm Mary's faith that God had placed the Messiah in her womb. The Spirit inspired Elizabeth to praise God for his great work of salvation to be done by the one in the womb of Mary. The Spirit broke God's imposed silence of Zechariah and inspired the old priest's great proclamation of praise and joy. 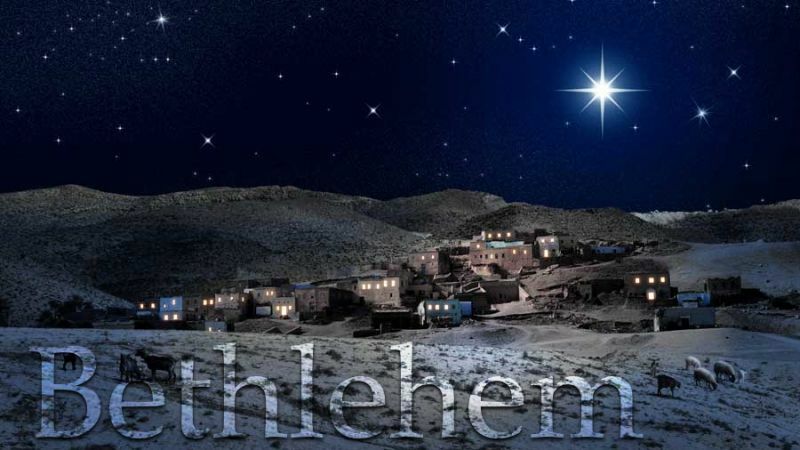 The Spirit-led, convinced, and inspired Simeon to meet and praise God's Messiah, baby Jesus, in the Temple. 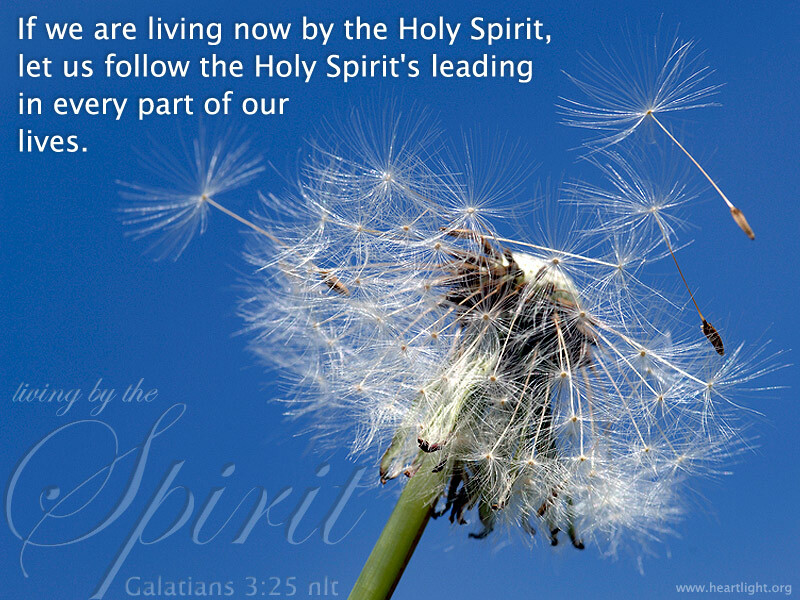 O Holy Spirit, Breath of heaven, come and fill our weary hearts with grace. The weather changed when Jesus came! Luke's account helps us feel the cool breezes of God's refreshing Spirit. God's Wind wafts its way through the hearts of his most expectant people. The Old Testament prophets had spoken of this time. God's holy Wind, his mighty Breath, his comforting Spirit would blow through God's longing people. This move of the Spirit began God's new day and brought his New Covenant. God's cold front came to a parched land full of weary hearts. Luke showed us how this heavenly Breeze began to blow fresh life into forlorn souls and restored their hope! This heavenly Breeze would be for all who would become children of God (John 1:11-13; John 3:3-7; Acts 2:38-39; Acts 5:32; Romans 8:1-16). This holy Breath from God would be poured out by Jesus upon all who became Christians (Acts 2:33; Titus 3:3-7), born of water and Spirit (Acts 2:38; John 3:3-7). The presence of this holy Wind insured that everything would be different and refreshingly new (Acts 3:18-19; Acts 5:22). This major turn in the weather, this invigorating chill from God's early morning Zephyr, also assures us that we can change as well (Acts 2:38-39; Acts 9:17-22; 1 Corinthians 6:9-11; 1 Corinthians 6:19-20). As we gather around and tell stories of baby Jesus, wise men from the East, Shepherds in their fields, mean old Herod in his palace, and a long journey for a couple expecting their first baby, we must not forget the weather! You see, God sent one glorious cold front, pushed through by his mighty, refreshing, and holy Wind. This Breeze from heaven's grace started the events that gave Mary a baby and changed everything for you and me. So while Bing Crosby may have been dreaming of a white Christmas, God preferred to send his refreshing, mighty, holy Wind to change the weather at Christmas, for all of us. O Holy Spirit, Breath of heaven, come and fill our weary hearts with grace. Stir our songs with a fresh joy of angelic praise. Comfort our broken and fearful spirits with your gentle breezes of grace and mercy. Fill us with your holy power as you fan into flame the dying embers of our once passionate hope. Bring God's weather to us this Christmas just as you changed the spiritual climate when Jesus first came. In the name of Jesus and through your gracious intercession for us, O Holy Spirit, we pray. Amen. "The Weather When Jesus Came" by Phil Ware is licensed under a Creative Commons License. Heartlight encourages you to share this material with others in church bulletins, personal emails, and other non-commercial uses. Please see our Usage Guidelines for more information.